Scroll saw (print red to ease cutting), wood carving, intarsia, wood burning, marquetry. Sewing, quilting, applique, cross-stitch, rug hooking, felt, doll patterns. Resize in color for posters, signs and cardboard cutouts. 100+ built-in fonts and hundreds of symbols. Silhouettes, scrapbooking, printables, vinyl cutting, metal engraving, and model airplane plans. Give the size of your design in inches, feet, or cm. Enlarge or reduce. Change it by %: 200, 400, 50 — any amount. Set the size of a part and let Rapid Resizer figure out the overall size. 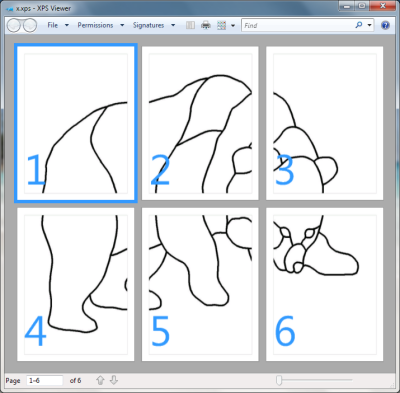 Change proportions, rotate, mirror, arch, or skew to fit different shapes.